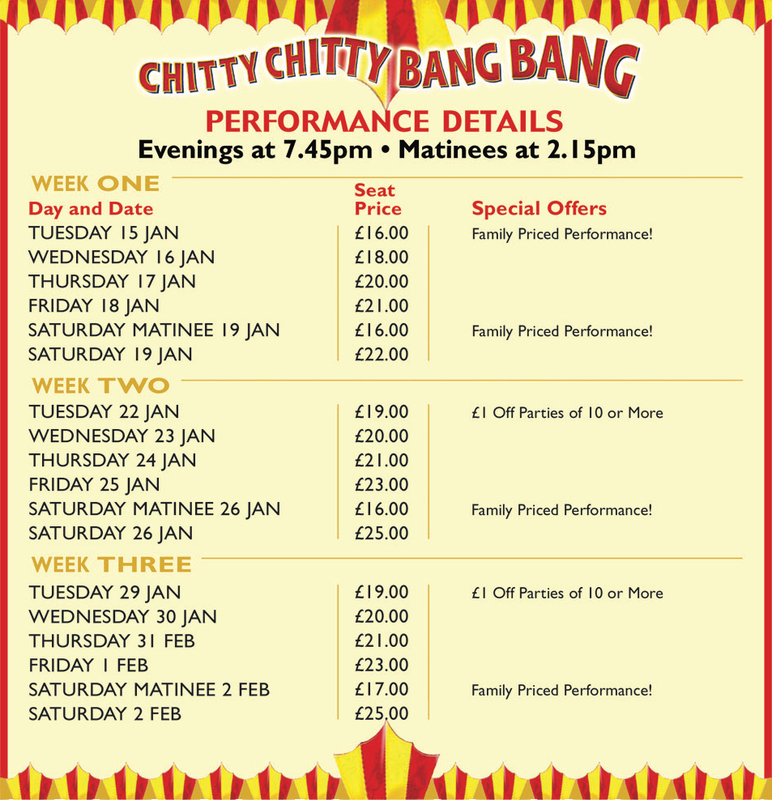 Ballywillan will be one of the first companies in the UK and Ireland to bring everyone抯 favourite family musical to the stage. 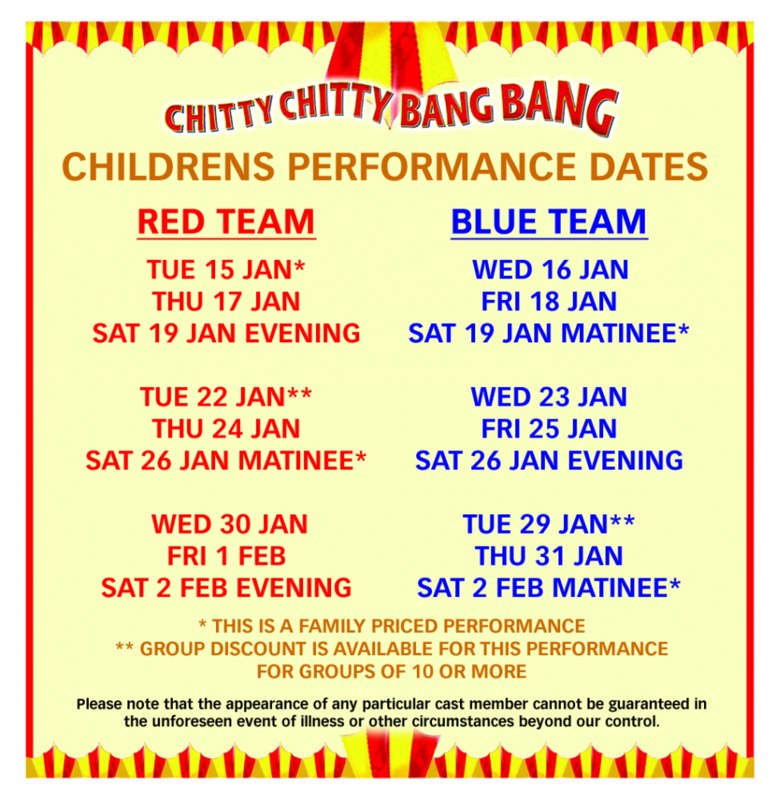 Featuring brand new costumes, a superb signature set and the undoubted star of the show � the magical car, CHITTY CHITTY BANG BANG � this is the perfect family show. 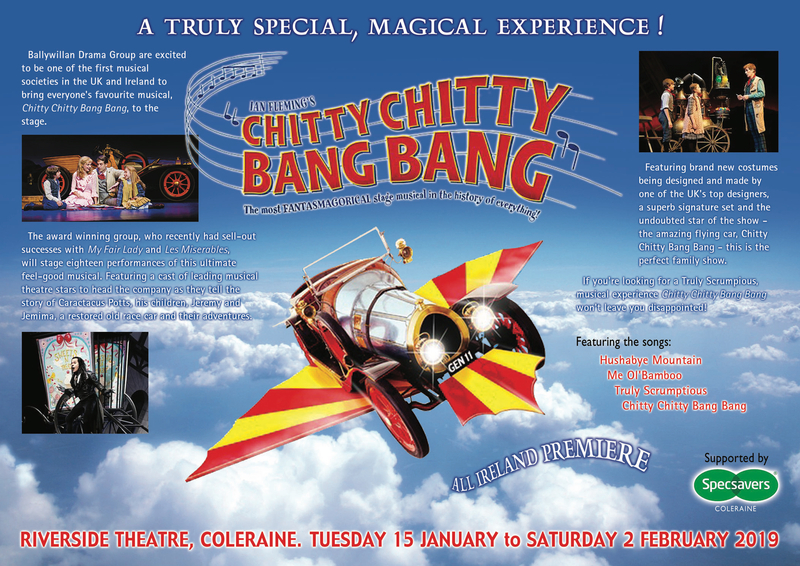 If you抮e looking for a Truly Scrumptious feel good experience CHITTY CHITTY BANG BANG won抰 leave you disappointed!